I recently upgraded my laptop to a Sony Vaio VGN-Z610Y (which I LOVE, by the way, but that’s another review). In order to leverage the Vaio’s portability, I decided to get a cellular modem to enable mobile Internet access. But which device and carrier? I have a generous corporate discount for AT&T via my employer, so AT&T was an obvious option. I had read a lot about Sprint’s data access, and found Gizmodo’s nationwide wireless provider comparison (using cellular modems) especially interesting, so Sprint appeared to be another good option. 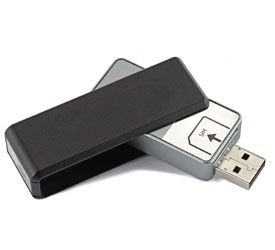 At AT&T, I picked up an Option USBConnect Quicksilver. I was actually hoping to get an express card form factor, but AT&T is apparently phasing out them out. That left a PC card format (which my laptop doesn’t support) or USB. I went with the Quicksilver based on reviews I’d read online. 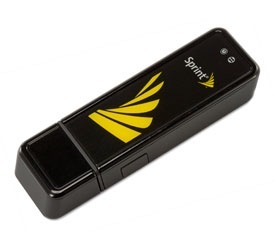 At Sprint, I picked up a Sierra Wireless USB 598U based on online reviews. Also, Gizmodo’s nationwide comparison test was quite compelling since it showed Sprint as having the fastest cellular network, on average, nationwide. I confess, I’ve never been fond of Sprint as a wireless carrier (don’t prefer CDMA due to being “locked into” a specific device for the life of a 2-year contract and Sprint’s customer service and billing accuracy can be underwhelming). I was disappeared to learn post-purchase that although my employer has a corporate discount negotiated, Sprint does not apply discounts to their $59.99 data plan for wireless modems. Well, what did I find once I got home? However, I’m not really planning to use the cellular modem at home. Time to hit my usual haunts and check out performance. How did these cellular modems/networks perform out and about? Clearly, the AT&T Quicksilver is faster in places I like to visit locally. I don’t travel a lot, so I’m satisfied with basing my purchase on network speeds where I live & work in Connecticut. If I traveled more, my choice might be different. I’m also quite happy with AT&T as a wireless service provider, and have stayed with them longer than any other carrier (and I’ve tried them all). I logged into my AT&T account today and was delighted to find my corporate discount already applied to the Quicksilver’s monthly data plan. My experience with AT&T has generally been “no hassle”, and buying and getting up to speed with this device has been quick and easy. I ran Speedtest.net 3 times per modem in each location, and then averaged the results. When I had reason to think another process could be concurrently accessing the Internet, I re-ran the test.